Penticton shooting: Pictured- thought to be one of the gunned down victims at the hand of a 60 year old local man. 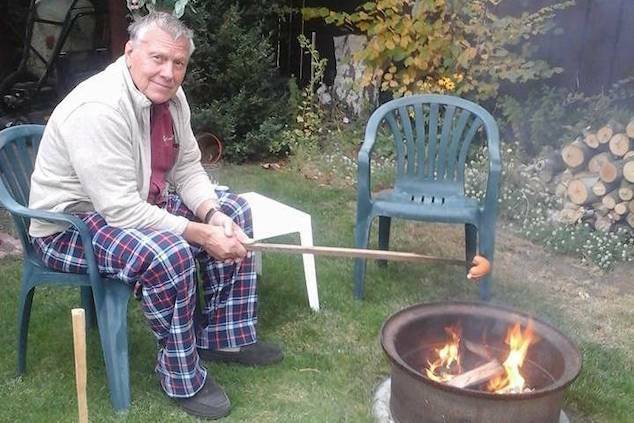 Penticton shooting: Pictured Rudi Winter- thought to be one of the gunned down victims at the hand of a 60 year old local man. Penticton shooting: A 60 year old British Columbia, Canada man arrested after gunning down 4 individuals dead – the result of a neighborly dispute. A 60-year-old Canadian man has been arrested after allegedly killing four individuals in a ‘targeted’ series of shootings on Monday, British Columbia police said. The gunman, since identified as John Brittain– killed two men and two women in three locations within about three miles of each other in the city of Penticton, said Ted De Jager, superintendent of the Royal Canadian Mounted Police. The first shooting was reported at 10:30 a.m., with the suspect driving himself to the Penticton RCMP station and turning himself in by 11:30 a.m., De Jager said during a Monday press conference. The victims were not identified, pending notification of their families. Police said they believed the gunman knew all of the victims. That said one family member revealed his uncle, Rudi Winter, 71 (pictured above) as one of the gunned down victims. ‘While the investigation remains active and ongoing, we do believe this was a targeted incident,’ Mr. De Jager told reporters. Come Tuesday morning, Canada’s Global News reported Brittain being charged with three counts of first-degree murder and one count of second-degree murder. While a motive for the shootings was still unknown- a wife of one of the murder victims told Castanet News she suspected the onslaught was provoked as a result of neighborly disputes. Of note, Canada’s Global News reported the nephew of one of the victims saying his uncle may have been killed because of a grudge by a former neighbor. The victim’s wife, Renate Winter described her and her husband having a ‘frosty relationship’ with the gunman’s estranged wife. Police have not publicly confirmed the identities of any of the victims except to say two victims were identified as men along with two women in their 60s and 70s. ‘Determining why this occurred is part of our ongoing investigation,’ De Jager reiterated during Monday’s press conference. Debates over gun laws escalated in Canada last year after a shooting in Toronto killed two people and wounded 13 others in July. In response, the city council suggested the federal government ban handgun sales in the city, while the Montreal City Council called for a national ban on the weapons.